CONNECT: Managing technology to optimize your business! As a business executive you are swamped with budgets, projects, and deadlines. These daily tasks make it very difficult to ensure that the right technology is in the hands of your employees, so they can help you meet your objectives. What you need is an expert IT team to assist you with this technology dilemma. Nemsys developed Connect to address the needs of today’s dynamic business environment. With Connect, you’ll be free from necessary, but time-consuming tasks. Tasks like monitoring and managing your IT infrastructure, budgeting for additional technology expenses. Allowing you to focus on the right people, and processes. Your strategic initiatives will fall into place, all while increasing efficiency and productivity. Instead of looking at short-term, piecemeal responses, Connect provides an all-inclusive approach that is focused on the long term view. It constructs a coherent and successful IT strategy, that aligns to objectives, and creates a highly-productive work environment in your business. This long term view provides the flexibility and stability, to help address the needs of your business in times of growth, and change. 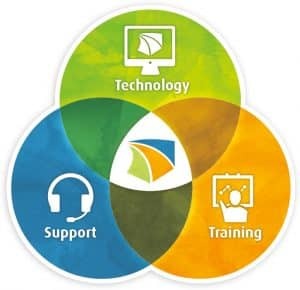 With our Connect solution, much like your own business – success depends on a structured framework. Nemsys can help your meet your business deadlines, exceed your business goals and deliver value back to your team and stakeholders. Contact us today to find out more about Connect.